Why Be a Liberal Arts Major? Admission to a law school does not require a particular undergraduate major or course of study. 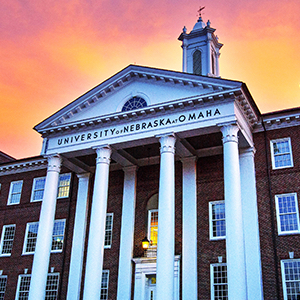 The University of Nebraska Omaha’s (UNO) College of Arts and Sciences encourages pre-law students to choose a major on the basis of their intellectual interests and to design, in consultation with the College’s pre-law advisers, an additional program of courses that will help them develop relevant skills and introduce them to legal concepts and arguments. Undergraduate courses primarily concerned with the law are not a necessary preparation for law school. Such courses might be useful to those students who are unsure their interest in law school or, those who are certain of their interest and who already have a sense of the particular field of law in which they are primarily interested. Law schools do not prefer any major course of study over another. Law schools emphasize the need for students to cultivate certain skills – such as clarity in written and oral communication, an understanding of human institutions and human nature, and creative and critical thinking – that can be developed in the context of a variety of majors. Pre-law student advisees from majors across the College of Arts and Sciences have been successful in both gaining admission to top law schools and excelling academically once they arrive at law school. Pre-law students are therefore encouraged to choose a major that suits their intellectual interests. A major that provides an alternative career path may be prudent in case a student decides later not to pursue law school. Students are advised to select courses outside the major that help develop the skills necessary for success in law school and legal careers. Students are invited to contact College of Arts and Sciences faculty in any of several academic areas for more information about specific course selection and preparation for law school. So - DO NOT choose a major because of how you think law schools will react to it! The Pre-Law Association sponsors events throughout the year, in the interest of helping students learn about and prepare for legal careers. Becoming a member is easy: simply sign up for our e-mail list, and you will start receiving information about our events and activities. Each year, pre-law advisers sponsor a panel discussion including representatives from local law schools, including Creighton University School of Law and the University of Nebraska College of Law, and members of the legal profession. All interested students are welcome to attend and ask questions. Representatives from law schools are often available to speak with students at the pre-professional and career fairs held at UNO. Other group activities include LSAT preparation, focusing on the Analytical Reasoning (or "games") portion of the exam. LSAC is committed to easing the law school admission process for law schools, prelaw advisers, and prospective law students. The LSAC site is full of resources and information for all prospective and current pre-law students. Students should begin the process of applying to law school at least a year in advance prior to their desired enrollment. Consequently, those who intend to enroll immediately after the completion of their undergraduate degree should begin the application process near the end of their junior year and should take the LSAT (Law School Admission Test) in the June after that year or in October of their senior year. Information on how to apply for the LSAT and for the Law School Data Assembly Service, which compiles supporting materials for applications and supplies them to the law schools for which you have applied, is available from the College’s pre-law advisers and from the LSAC site. Unsure of which major to choose? 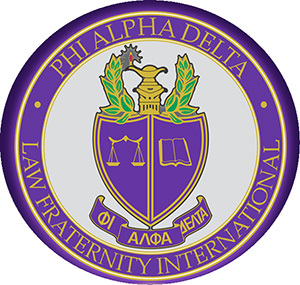 University's premier organization for students interested in a career in Law.